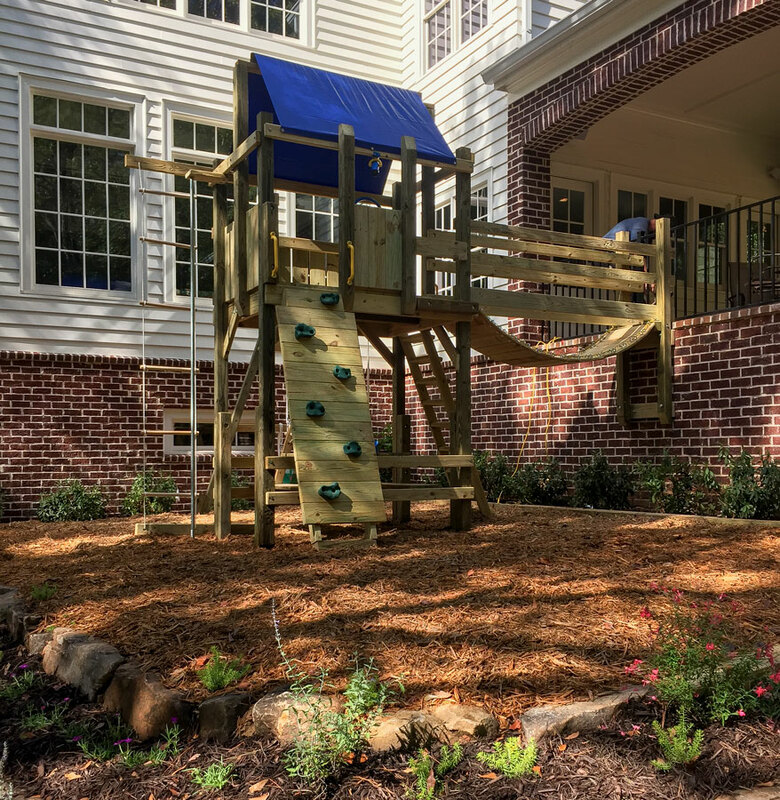 Our Premium Playsets feature multiple forts with swings and more! You can combine one, two or more forts, add wood bridges, clatter bridges, monkey bars, climbing towers or crawl tubes to create tons of fun in your yard! 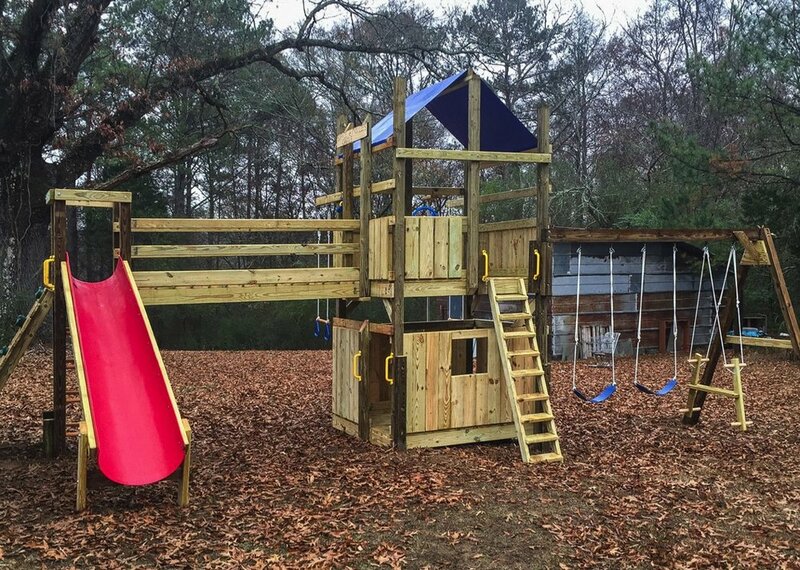 Our classics incorporate a single fort with swings and more! 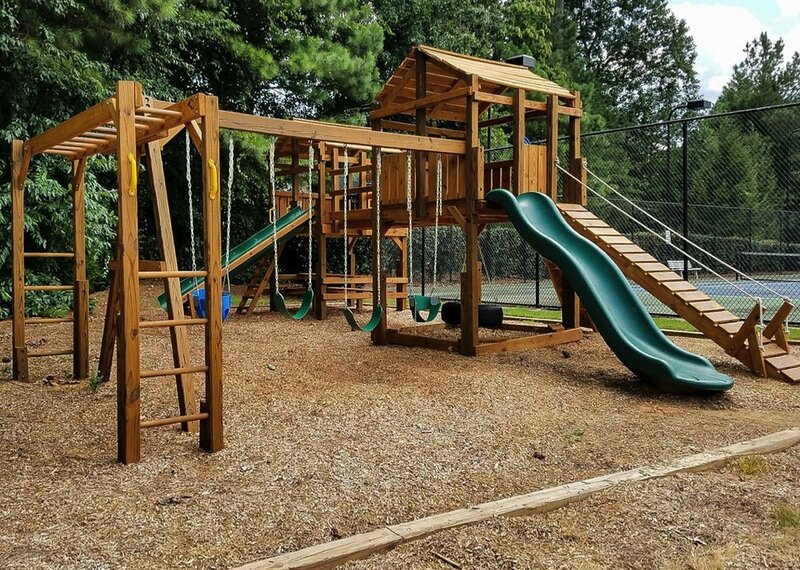 Choose your fort, customize your fun with a picnic table, tire swing, sandbox or upgrade to a porch or a clubhouse under the fort, and we'll work with you to design your very own classic playset! Our commercial sets are designed for HOAs, churches and schools and are optimized to suit various age groups. Our designs feature commercial grade hardware, swings, slides and accessories.